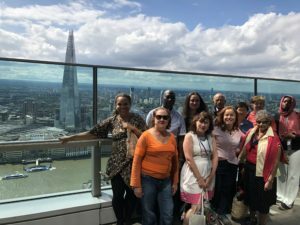 Thanks to a City of London grant this year we have enjoyed taking community groups and west London residents out and about in the City of London. 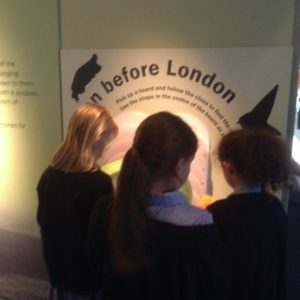 Places we have visited include the Museum of London, The Guildhall, The Royal Exchange, the Guildhall Art Museum, Leadenhall Market, St. Paul’s Cathedral, Temple Inn and St. Brides Church. 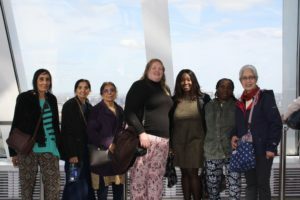 We visited the Sky Garden on top of the Walkie Talkie building in Fenchurch street to see an unrivalled panoramic view of the city, with the River Thames sparkling and winding before us. Looking down on Tower Bridge and the Tower of London from the 37th floor made London look like a little model village ! There has been so much to discover in the square mile. Favourite places have included the alleyways, courtyards and cobbled streets of London before the great fire, the beautiful and numerous churches and churchyards and the wonderful GF Watts memorial of heroic. 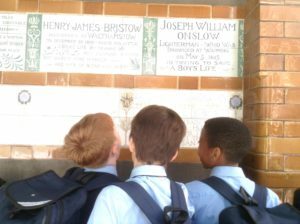 We found out some interesting history and stories along the way. Some of us worked out whether or not we could call ourselves true cockneys as we listened to the bells of St. Mary -Le -Bow. All of us were impressed with the remarkable feat of Sir Christopher Wren and colleagues of rebuilding so many of the churches burnt down by the Great Fire in 1666. Many of us were also wowed by newer developments like the huge skyscrapers with strange shapes and names like the “Cheese grater” and “Heron Tower”. Thank you to The Abbey Centre, Earls Court Seniors group, St. John Walham Green primary school and all the west London residents who joined us on our discovery walks and to the City of London for supporting the project. 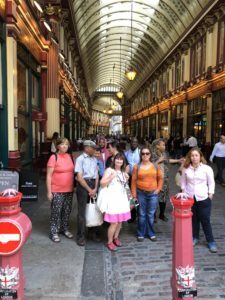 We have all learned alot about the City of London and but there is still so much to discover ….so we will be returning there soon!